Did you know that a floral fragrance can make you feel rejuvenated? Especially with the cheerful notes of white flowers, such as Lily’s in the new Northern Beauty fragrance. Get to know one more summer collection that Oriflame has prepared for you. The Swedish archipelago consists of more than 30,000 islands, islets and cliffs; A treasure of natural beauty. From the bays and beaches to the forest-clad cliffs overlooking the sea, the vast and idyllic landscape is pure inspiration. An unforgettable summer … It is during the summer that the archipelago comes to life – with light, wildflowers, magnificent palette of colors and a peace that surrounds the whole place. A scenario that renews the sense of satisfaction and tranquility. This landscape has drawn artists over the centuries and is the inspiration behind Oriflame’s Northern Beauty collection – a pure and unforgettable Swedish experience. Like the radiant summer light in Sweden, this fragrance revitalizes the senses with floral and fruity top notes. The floral heart releases a refreshing breeze, enriched with the elegance of the Swedish flower, King’s Meadow Lily. The base of Cedar Wood, White Musks and Amber give a soft aroma. Complement your tanned skin with vibrant nails. An inverted French manicure imparts an irreverent touch. Combine contrasting shades such as red and black or pink and purple! For those who love marine tones, mint green and blue are excellent choices. These 4 new stunning shades are part of the “Northern Beauty” collection. Try combining them with the Fuchsia Allure 30528 , one of the hottest tunes of summer ’17! 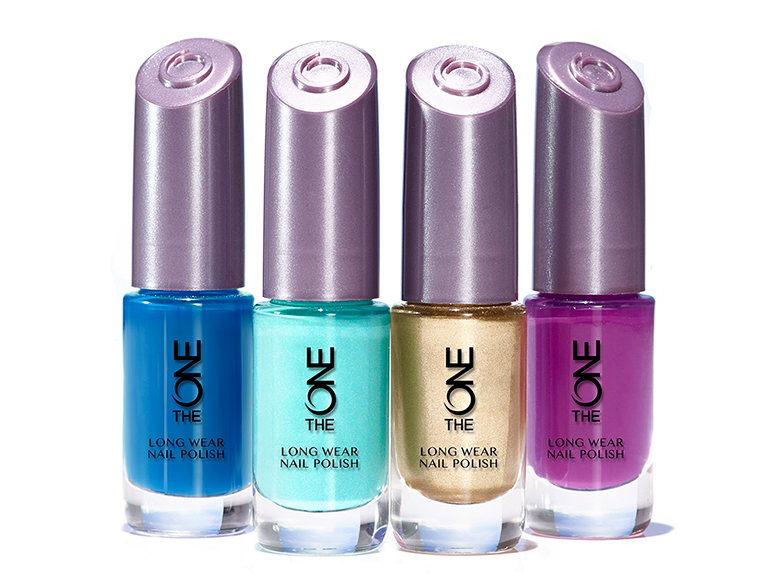 lasting Varnish The ONE High-coverage, long-lasting varnish in the latest shades. With Expert Gel Technology for uniform coverage and fade and break resistant color. 8 ml. necklace A golden necklace with flower petals and a blue stone, inspired by the Swedish archipelago. Nickel tested. Dimensions: 44 + 6 cm of extender chain. Drop shape with blue stones.